Habitat preferences: Moist ground on wooded slopes or meadows, sub-alpine, full Sun to partial shade. May become dwarf under extreme cold conditions, in young plants it has a pink or redness which is anthocyanin, a pigment that protects the plant from UV rays and also absorbs and concentrates infrared, heating the plant. · Seeds are hand collected in mid September when achenes are turn tan and are easily separated from the receptacle. Seeds can be cleaned using a hammermill. · Ripe seeds collected generally when pappus-like "plumules" or plumose calyx appendages, are beginning to unfurl are best: seeds shatter and blow away easily once these have opened. However if collected too early you can find incomplete seed fill. Installation form (form, potential for successful outcomes, cost): Place seedlings into individual pots when they are large enough to handle and plant out into their permanent positions in the summer if sufficient growth has been made. If the plants are too small to plant out, grow them on in the greenhouse or frame for their first winter and plant them out early in the following summer. Division in spring. Larger divisions can be planted out direct into their permanent positions. Pot smaller divisions and grow them on in light shade in a greenhouse or cold frame until they are growing well. Plant them out in the summer or the following spring. 5.Wick, Dale; Evans, Jeff; Luna, Tara. 2001. 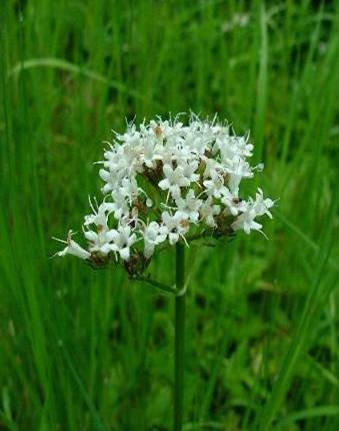 Propagation protocol for production of container Valeriana sitchensis Bong. plants (172 ml conetainers); Glacier National Park, West Glacier, Montana. In: Native Plant Network. URL: http://www.nativeplantnetwork.org (accessed 27 April 2006). Moscow (ID): University of Idaho, College of Natural Resources, Forest Research Nursery.